This website is a private initiative, established by former Operators of the South African Police Special Task Force. The purpose of this initiative is to document the culture and history, create an internal discussion platform and share some information with other special forces, academia and the public. 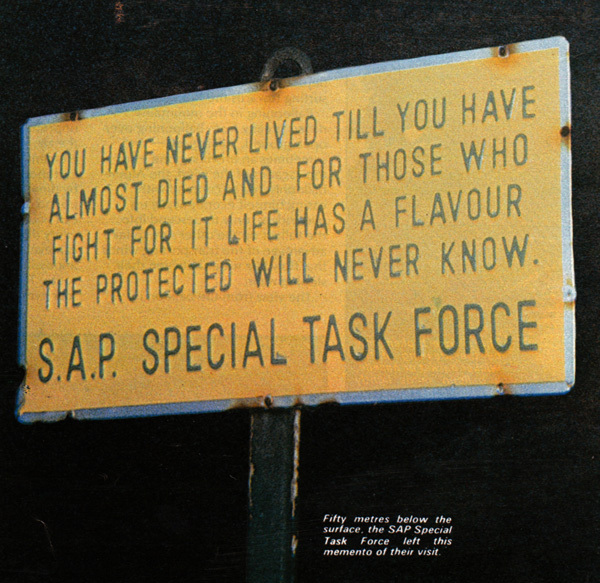 The South African Police Special Task Force (SAP STF) is the special operations element of the South African Police (SAP). The STF is considered to be among the best of such units in the world. 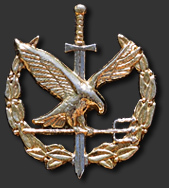 The STF has a formidable reputation in counter terrorism, counter insurgency and hostage rescue. The STF, like their military special forces counter parts, are internationally regarded has being deadly exponents in the art of bush warfare. The SAP STF has a rich history and in intensely proud of its heraldry. Most of the Operators, past and present, have dreamt of becoming a member of this exclusive Special Forces unit, since been young boys. The rightful wearers have spent plentiful blood, sweat, tears, agony and pain to earn this prestigious decoration of the SAP STF Insignia. more... During the late 1960’s, the South African Police became engaged in counter insurgency operations in the Rhodesian War of Independence. The political influence at that time dictated that the Republic of South Africa’s would deal with the Communist backed guerrillas as a criminal conspiracy, and that police rather than military intervention was the preferred option. The public photo gallery consist of general non-restricted photos, where we omitted all photos that relate to specific techniques, especially relevant in HRT operations and training within EOD, urban, planes, trains, marine and busses. We did include a brief snapshot of different aspects to the training and life in the SAP STF. The public video gallery consist of general non-restricted videos where we omitted all videos that relate to specific techniques, especially relevant in HRT operations and training within EOD, urban, planes, trains, marine and busses.